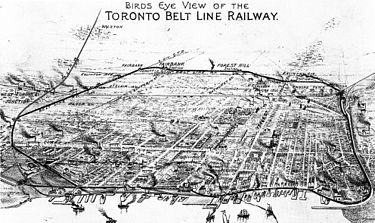 "The railway consisted of two separate loops both starting and ending at Union Station. The larger loop went east to the Don River. 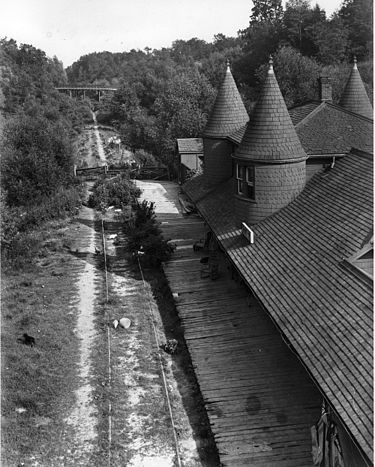 It turned north following the river before journeying up a steep grade through the Moore Park Ravine beside the Don Valley Brick Works. 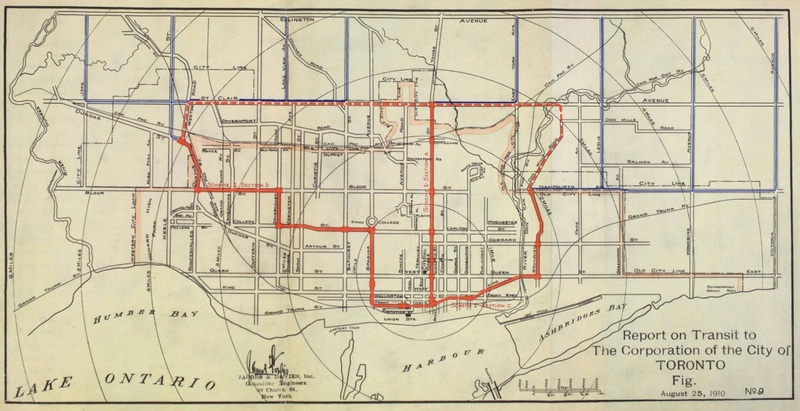 It then turned west at the north edge of the Mount Pleasant Cemetery along Merton St. At Yonge Street it turned northwest travelling through Forest Hill until just north of Eglinton Avenue West. There, it turned west again before returning to Union Station via the Canadian Northern Railway (now CNR) line west of Caledonia Road. A complete trip was approximately 40 km (25 mi). An idea that was over 125 years ahead of it’s time!